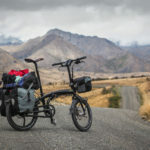 Folding bikes are great for travel, but are often a bit less capable at carrying loads than a dedicated touring bike. 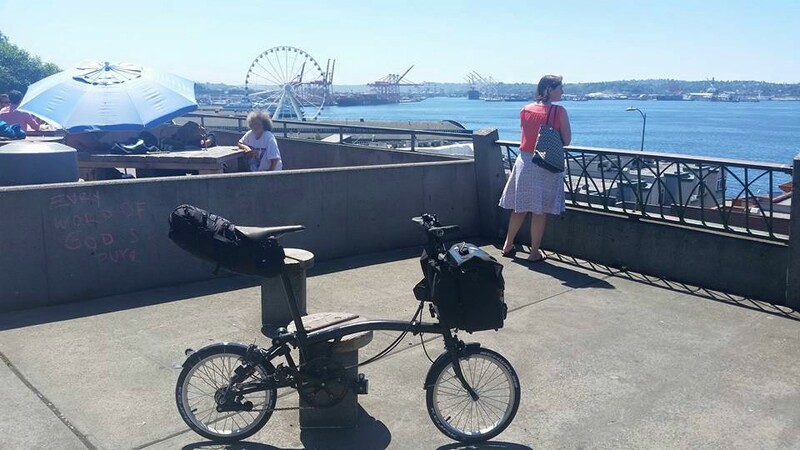 This resource will help you find out the different ways you can carry luggage on your folding bike… there’s actually more options than you think. Most 20-24” folding bikes can cater for a front rack. These mount at two points on the fork, typically at the end of the fork legs and at the crown. 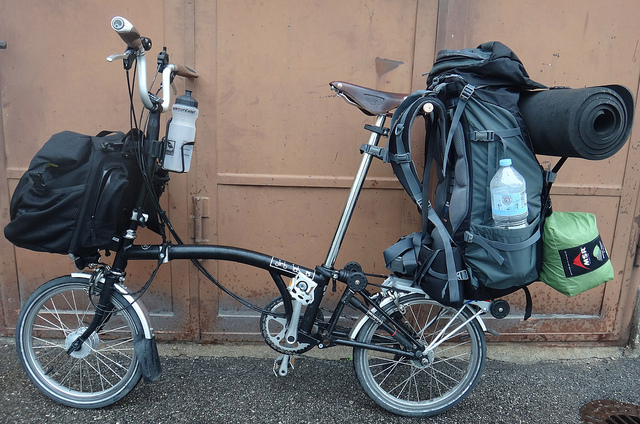 This setup will allow you to use two panniers with a total weight of between 10kg (Tern, Dahon) and 22kg (Bike Friday). Again, most 20-24” folding bikes can cater for a rear rack. These mount from near the rear dropout and up to the top of the seatstay. 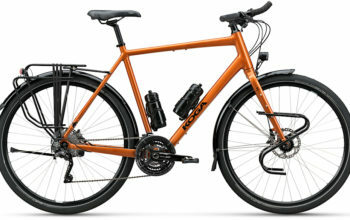 Rear racks can carry two panniers and a rackpack bag to a maximum capacity of 25kg. When you carry weight on the rear of the bike it has less of an effect on the bikes steering, than on the fork. 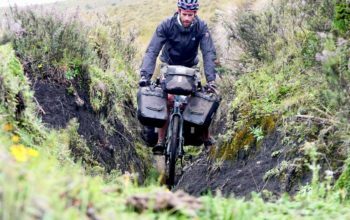 You can also mount racks/panniers to 16″ folders, but the bags tend to drag when cornering given the lack of clearance – it’s simply not recommended. 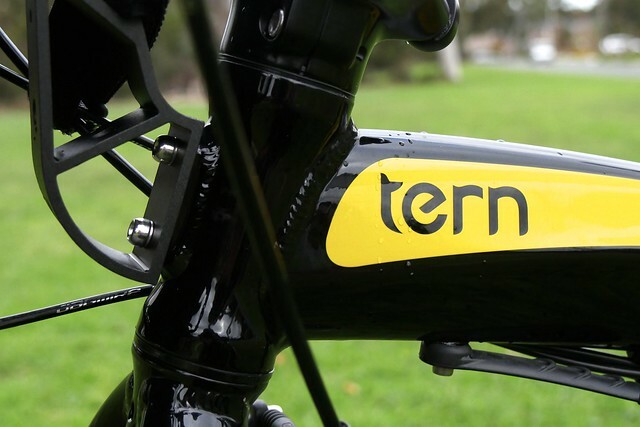 Tern and Dahon Bikes come with a ‘luggage socket’ on the front on their frames. This low-capacity luggage solution (7kg max) is excellent because when you load it up, it doesn’t affect the bikes steering at all; you can even ride your bike around corners without your hands on the bars! My favourite setup has been using the Kanga Rack and an Ortlieb pannier on its side. This 100% waterproof setup is easy to take on/off the luggage truss, and while you’re riding along bumpy roads it’s super secure. 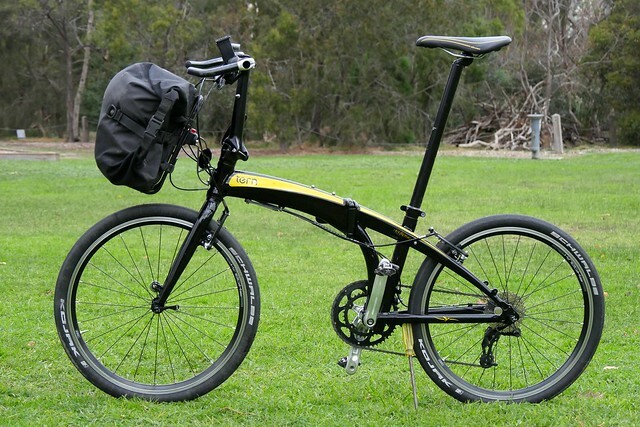 Some people with light loads will prefer the PostRack system with a Biologic Commute bag. Clamp the rack onto the seatpost, connect your bags and go. 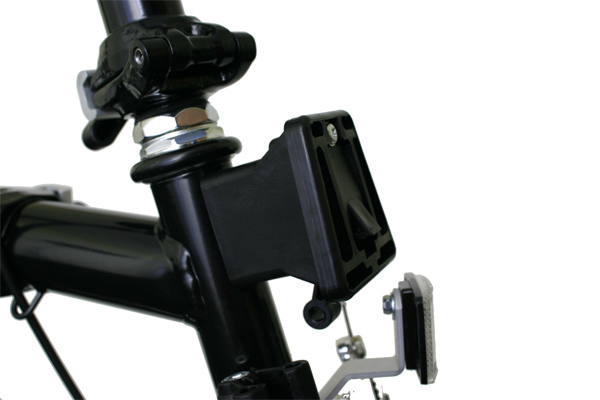 Another light load mounting option is the Xootr CrossRack which can take one pannier, and will mount from either your handlepost or seatpost. 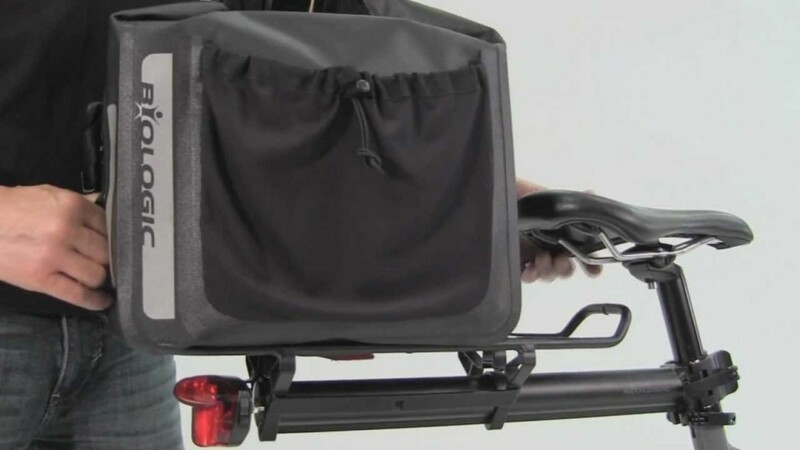 This is especially good for folding bikes that lack luggage sockets or any rack mounts. 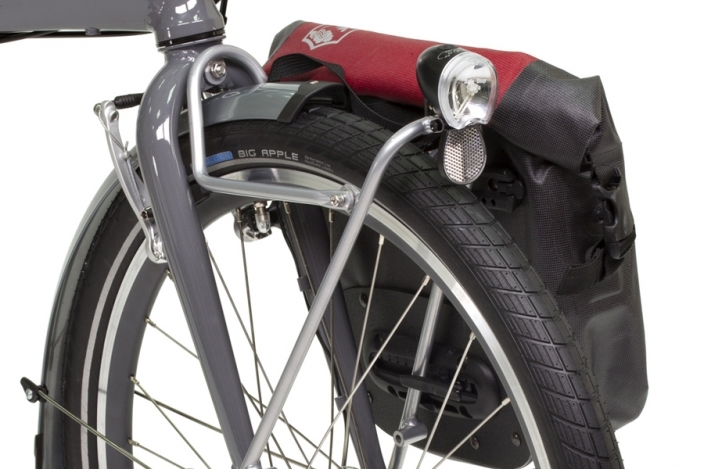 It will also allow you to use a pannier that you may already own. Klickfix make a similar product called the Extender with Handlebar Adapter. 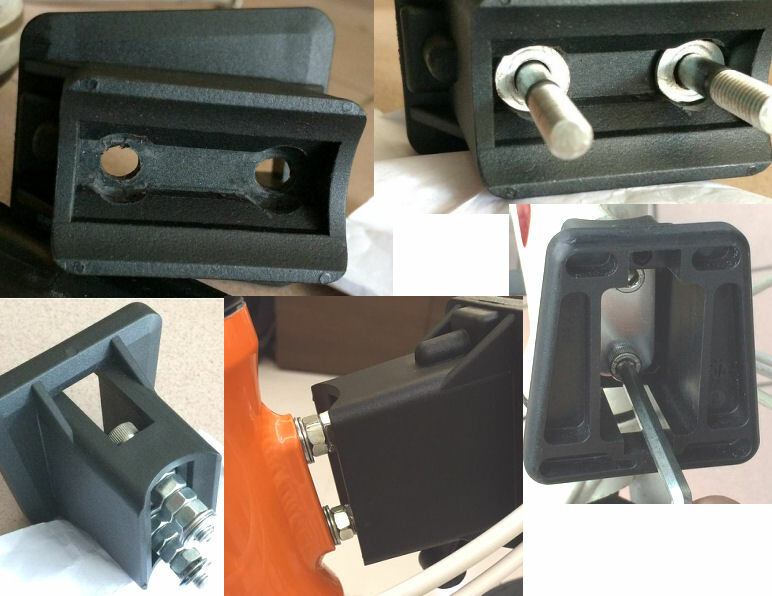 You can use this adapter with any of the Klickfix accessories, such as the Vario rack or handlebar bag. 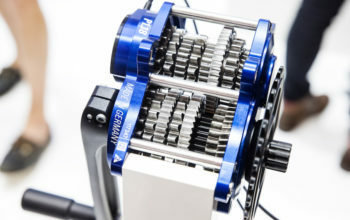 The carrier block by Brompton is annoyingly a different size to what is offered by Tern/Dahon, although people have modified these blocks to fit all styles of folding bike. Like the socket, luggage weight is carried by the frame itself, which doesn’t affect the steering of the bike. 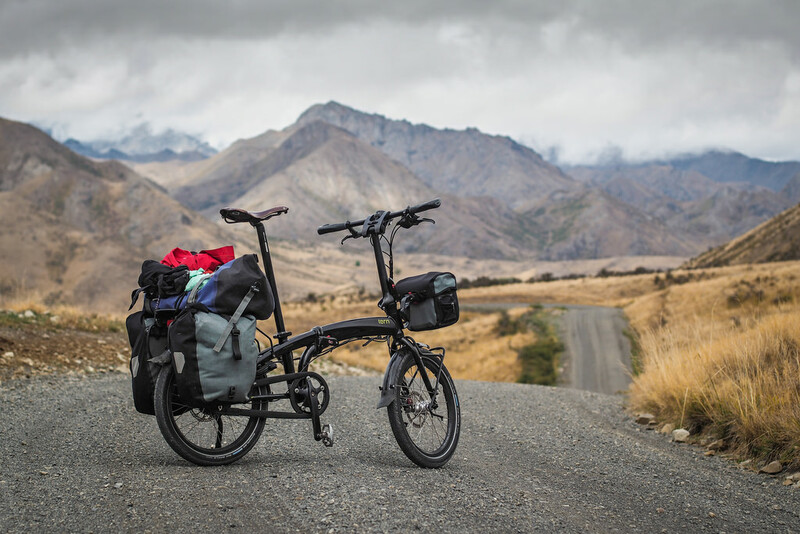 The Brompton block has an exceptional carrying capacity (10-15kg), as well as lots of luggage options available too. 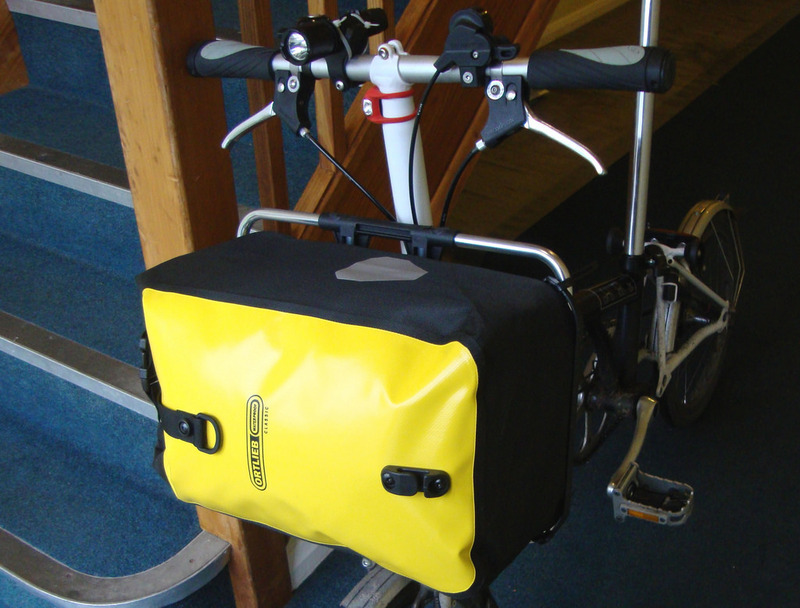 Many people have made custom kits to attach their hiking packs to the back of their Bromptons. This allows you to have everything all in one bag that is easy to carry. A Brompton can carry a pannier on the top of its rack. You’ll need to move the pannier clips inwards and use a strap to keep it down, but it seems to work surprisingly well. Have a closer look at ShaneCycles for mounting instructions. 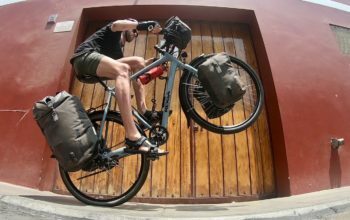 The lightest weight option available is using bikepacking bags. 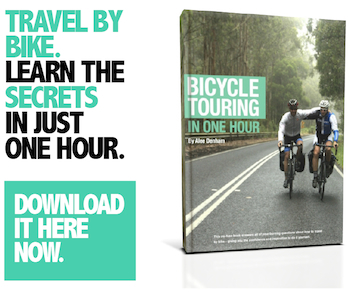 These bags strap onto your seatpost and handlebars, providing a small amount of space for an overnight trip. 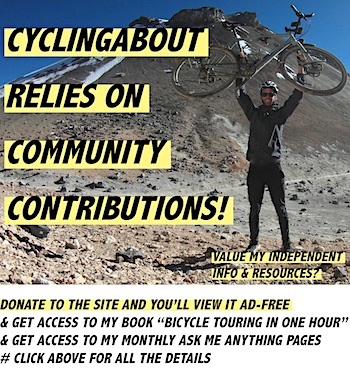 Check out the following bikepacking bag brands for more: Revelate, Adipura, AlpKit, Bike Bag Dude, Oveja Negra, Blackburn. Trailers can be a great solution for folding bikes. They take the weight off the bike and allow you to move your luggage around when you get to your destination. There are even folding trailers available from companies like Burley. 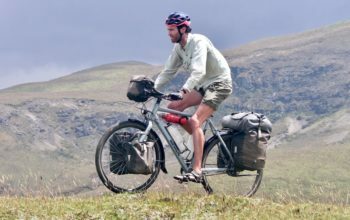 If you’re carrying more than 10-15kg and you have a budget-folding bike, I recommend using a trailer, as it will put less strain on your bike. Look for trailers that are 16-20″ compatible.